Our developers’ daily task is to improve our platform. They are constantly working on the programming code to make our features better. You can imagine that once in a while an error slips into our features, resulting in a malfunction or a ‘bug’ as we call it. We might not notice these ourselves right away, but we have a really strong tool for finding them: the best bug hunters are you, our Romeos! Why? Because PlanetRomeo is in use by you 24/7! When something’s wrong you’ll notice it right away and it shows. Our Support guys in Amsterdam receive tickets, almost immediately, when a bug causes problems. As soon as you notify us, we try to recreate the error to see exactly what’s wrong. And, if necessary, we’ll get in contact with our Romeos for additional information. What’s the next step? The Development Team dedicates its time to fixing the programming code in order to solve the issue as soon as possible. Before we deploy the new code, we always make sure it gets double checked to avoid new errors. After this thorough check, the changed code is distributed to our servers. Now our Support Team can start sending out this update to our Romeos who created the bug reports. With a big ‘thank you’ in it of course. 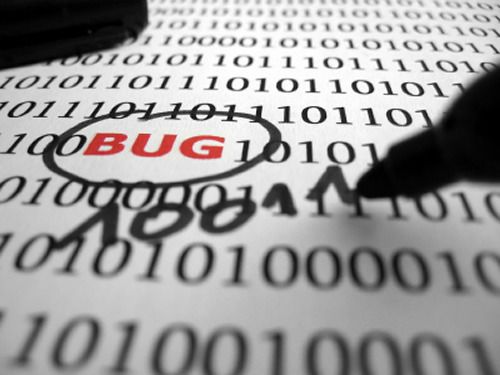 Reporting a bug is really important because it activates the busting process! So if you notice an error in the future, please let us know by sending a ticket to Support: go to planetromeo.com, click on ‘Help & Service’ and fill out the form under the option ‘Report technical problems (bugs) or suggest improvements’. A big ‘thank you’ in advance!